when baking the biscuit roulade cake for ROSE’S heavenly CAKES: Chocolate Apricot Roll with Lacquer Glaze (page 163), think of using two mixers simultaneously. i find many advantages of owning two mixers. 1- your real time mixing capacity is doubled, yet you can still mix small quantities when needed. 2- you can power two attachments at once. for example, when making pasta, one mixer can roll sheets while the second mixer cuts fettuccine! 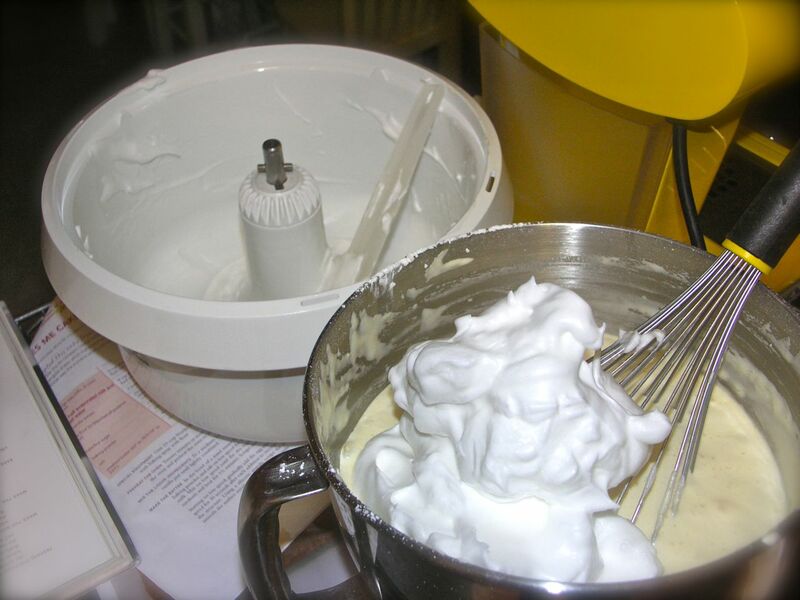 in my studio, i have the following mixers: a kitchen aid 5 qt, a kitchen aid 6 qt, and a bosch 7 qt. with honesty, if you add up the total cost, the expense is far less than purchasing a 10 to 20 qt mixer! H, I also mix biscuit with two mixers, it makes everything so easy and trouble-free. Love all that pasta! What flours do you like to use for pasta? J, this was a pre-made mix from ecco la pasta brand. I use a blend of bleached ap flour, durum semolina, and cake flour! I also add cream instead of water! H, what happened to the wordpress website? 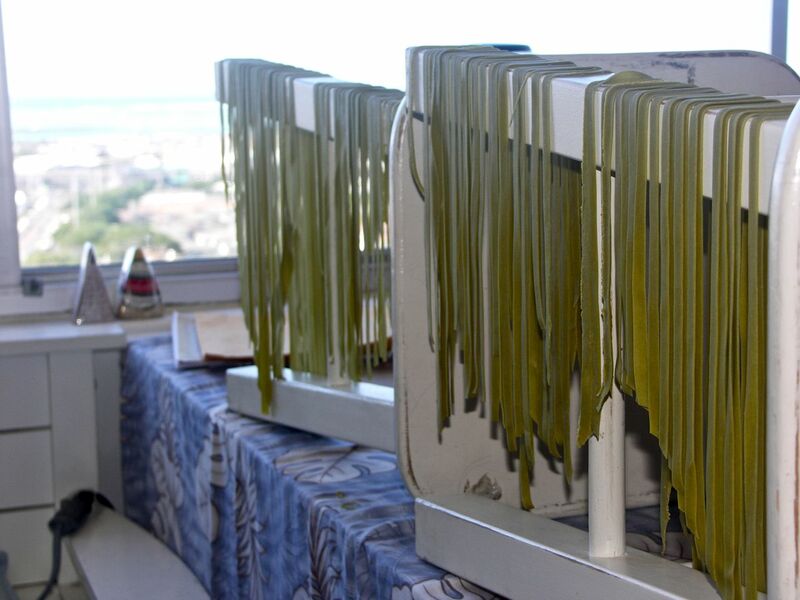 The pasta looks great! I’ve been making dumplings from scratch and love it, will have to get on the pasta making :). wordpress is now hosting my domain name.